PCOS affects 10% of women of reproductive age and is the most common cause of infertility. Signs and symptoms of PCOS can include, irregular or no ovulation, polycyctic ovaries, insulin resistance, easy weight gain/obesity, acne, cardiovascular issues, depression, anxiety, high levels of androgens, irregular menses, male pattern hair growth, skin tags, breast discharge, pelvic pain, and darkening skin. What is really happening with PCOS? Research has found that individuals with PCOS have a higher ratio of LH (hormone that triggers ovulation) compared to FSH (follicle stimulating hormone), which leads to excessive androgen (testosterone, DHEA) production and irregular or lack of ovulation. When FSH levels are not adequate, follicles do not mature and an enzyme called aromatase, which makes estrogen from testosterone and DHEA, does not respond appropriately to make estrogen, thus we are left with higher levels of testosterone/DHEA floating around and an immature follicle. Testing for LH/FSH ratios may be helpful. If a high LH/FSH ratio is present this is very predictive of PCOS. Looking at the difference in men and women, we can see one example of aromatase activity. Aromatase activity is very weak in males, which is why men have more testosterone than women and much less estrogen. When LH goes up in relationship to FSH here is what happens: adrenal glands become more activated and begin to make more androgens, fat cells also begin to make more androgens and we see more insulin resistance due to the increase in androgens. So in PCOS we get this feedback loop that continues to happen: LH continues to increase and FSH gets lower and insulin rises. When we have excess insulin to our bodies needs, it creates inflammation. It also stimulates the release of progesterone out of thecal cells (cells surrounding the egg), but it blocks the receptor for progesterone, thus progesterone can’t get into the cell and roams free out of the body. This causes progesterone to act as a substrate or cofactor for the adrenals and stimulates even more androgen production. Insulin resistance and hyperinsulinemia are also at the cornerstone of PCOS, which might be another contributing factor to the hypersecretion of LH, this is why the main focus of treatments for PCOS are targeted for decreasing insulin and improving LH/FSH ratios. Diet and lifestyle therapies are at the core for treating PCOS. Without these changes, not much else will work effectively, including medications. Diet and BMI changes have been shown to have the largest impact in treating PCOS. In a study looking at those consuming a high-fat, high- sugar diet (standard American diet), subjects exhibited impaired estradiol, progesterone and LH surgers before ovulation. They also found alterations in progesterone to testosterone ratios which correlated strongly with ovarian cyst formation (PMID: 29308444). In contrast, a pilot study looking at a low-carb, ketogenic diet, they found significant improvement in weight, percent free testosterone, LH/FSH ratio, and fasting insulin in women with PCOS (PMID: 16359551). Other natural therapies that were found to have a great impact on PCOS include, berberine, vitex, NAC, cinnamon, saw palmetto, and myoinositol (PMID:25524718). In a study on IVF, berberine and metformin treatments prior to IVF improved pregnancy outcome by normalizing parameters in PCOS women and berberine was even found to have a more pronounced therapeutic effect and achieved more live births with fewer side effects than metformin. (PMID: 23869585). Berberine was also shown to improve the metabolic and hormonal derangements often seen in those with PCOS (PMID 22019891). Although metformin can be extremely helpful in those with PCOS, it can also lead to decreased levels of vitamin B12, magnesium and B6. It might be wise to check these nutrients levels if taking metformin, or consider adding these nutrients for protection. In the recent years, more information has been available regarding the underlying cause of PCOS and possible heritability. There has been recent research suggesting that hypomethylated genes related to the formation of lipids (fat) and steroids (such as testosterone and DHEA) may be dysregulated and promote the synthesis of steroid hormones, which could explain mechanisms of hyperandrogenism in PCOS (29344314). It is important to understand the way our lifestyle and diet effects the way we express our genes, as these epigenetic factors may be the key to turning genes off and preventing PCOS. It is also important to understand if there are any methylation deficits that may be present, such as MTHFR DNA mutations or a deficiency of folate. Although PCOS can be difficult to treat, there are many natural therapies that can help. By looking at the individual specifically and understanding how each and every one of us is different, we can better support the underlying biochemical deficiencies and get positive outcomes, such as healthy pregnancies. 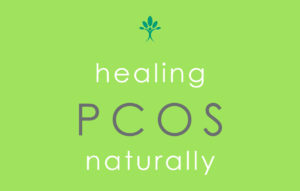 There is hope for those wishing to heal PCOS! For more information about PCOS or to discuss your options with us, please feel free to contact our office.